I’m sitting near my Christmas tree, sighing with happiness, but wondering why I haven’t put up any Christmas printables on this blog this year…I guess Thanksgiving got the best of me! I was so blessed to be able to spend the holiday weekend with my family, especially my husband. He has been so overwhelmed with school and work this semester, so it was an amazing break for both of us and I soaked up every possible minute by his side. (You can check out last year’s Christmas printables by clicking here.) I do hope to get at least one or two Christmas quotes up, but we’ll have to see…time is running short! Interestingly enough, I have gotten numerous requests for me to do a print of next year’s Primary theme, so I thought I’d take a whack at it. 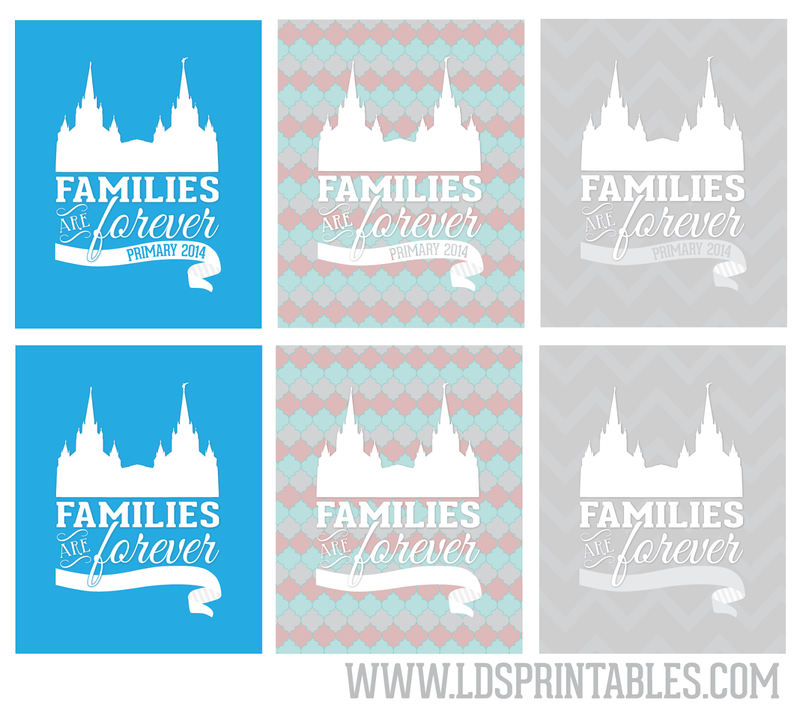 I love the theme of “Families are Forever” because I love the testimony I have of my family being together for eternity. It is the only thing that keeps me going on the hard days and through the trials. I know my family will be my family forever, and it brings me immense peace. During this Christmas season, I am especially grateful for my Savior and His plan of mercy that allows our families to be sealed in the temple and to remain a unit after this life. He is so kind and so loving and I feel blessed to worship Him and celebrate His birth. There are 3 color versions available of this print, and one set has “Primary 2014” and the other set has a blank ribbon. Feel free to use whichever works best for your Primary or your family. I hope you like them! 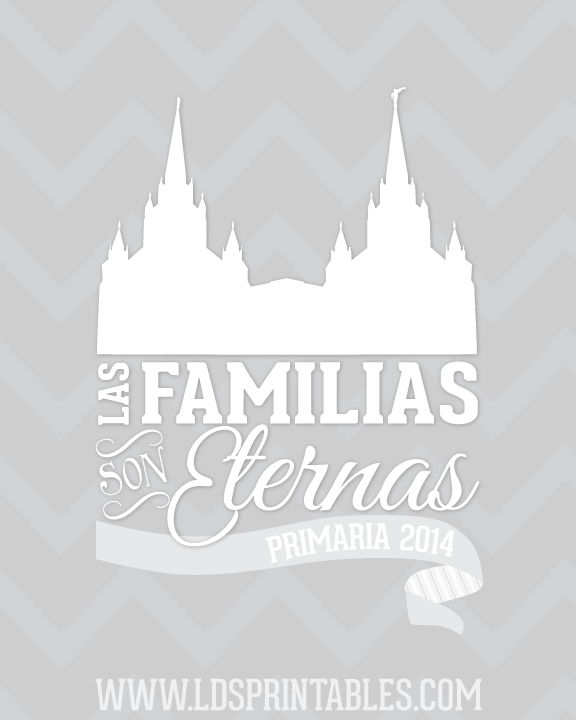 What experiences have you had that have strengthened your testimony of a forever family? 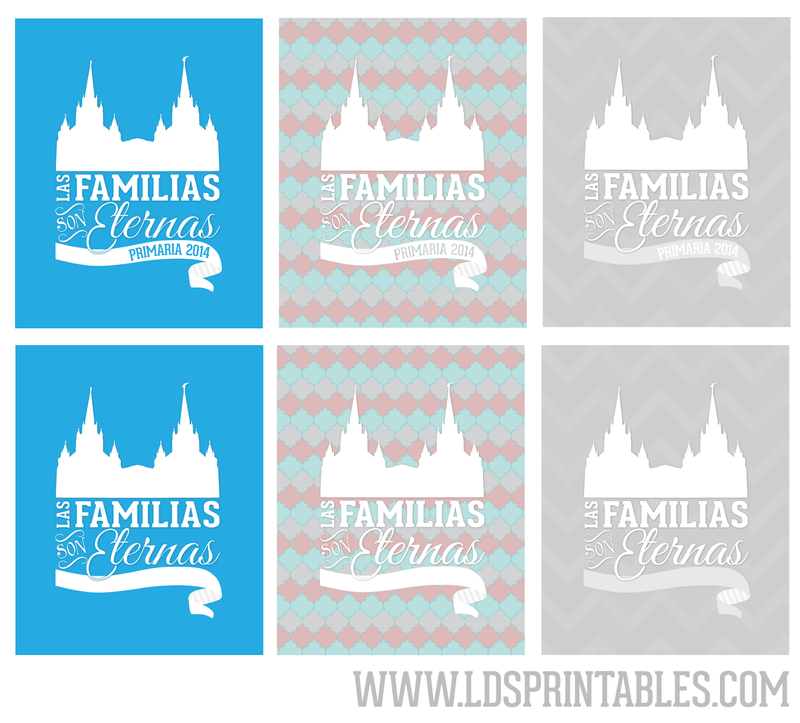 I love to offer my LDS Printables free of charge, but I can only offer so much of my time for free. I try to put generic files up on my site so that most people can use them without needing modifications. 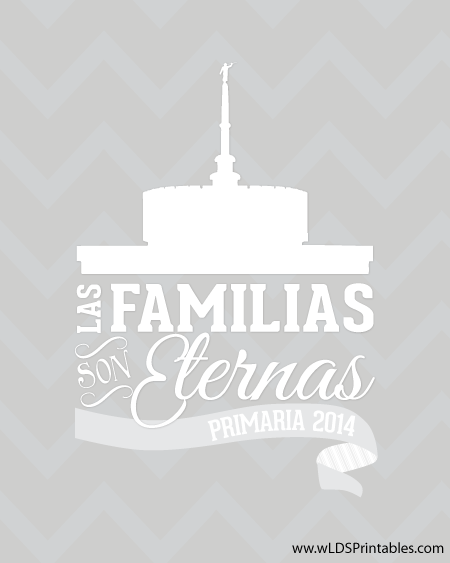 Having said that, if you would like to have a print customized with a different temple, names, labels (ie. Primary President, Primary Secretary, etc. ), or different colors, you can check out this listing here on my Etsy shop for details. I will only charge for the time I spend on your requests. Thank you for your understanding! 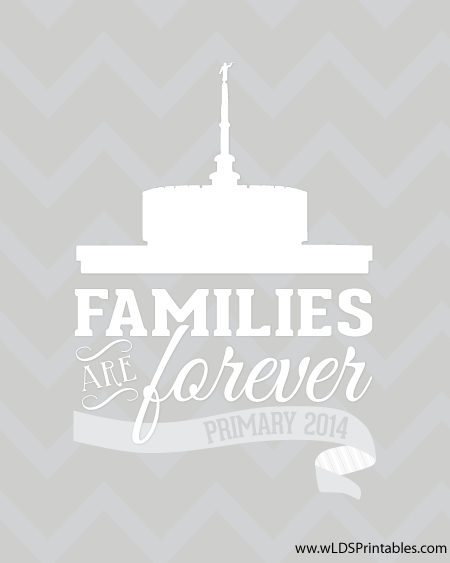 The Primary 2014 print is now available with the Provo, UT temple in the gray chevron version in both Spanish and English. This print is a 16×20 but would print fine as an 8×10, and should print at pretty much any other standard size you’d like. Thank you for all of your support! 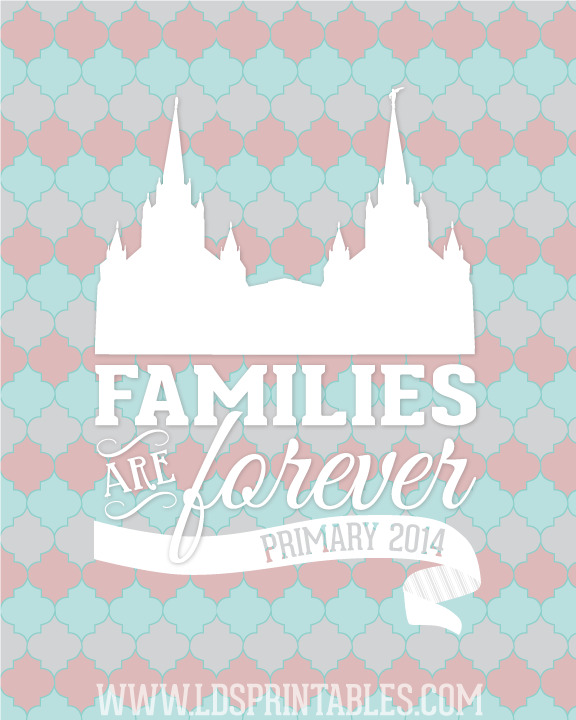 2014 Primary Theme free printables "Families are Forever"
2014 Manual/song List Available Now!